IT’S not a bad career high for a youngster who got into drumming using knitting needles as sticks. Woodstock, mother of all festivals, where Ric Lee and Ten Years After were one of the stand out acts. But don’t think the near-mythical gathering in a farmer’s field near New York defines the career of Mansfield’s most famous musical export, with apologies to Alvin Stardust. 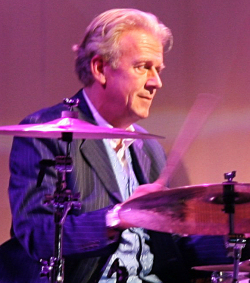 Lee, still pounding out Ten Years After classics with the ‘Now’ version, boasting three quarters of the line up at Woodstock, was one of a raft of drummers who inspired Spinal Tap, and also helped teach a young drummer from Redditch a few things about triplets. That his love and enthusiasm for the music is still strong is testament to the enduring appeal of Ten Years After, the jazz-influenced blues rockers. He plainly still gets a buzz out of playing the music. It’s still a challenge, especially with new tracks being written and the arrival of Joe Gooch as front man to replace Alvin Lee (no relation). It’s about 50 years since the young wannabe drummer saved up his wages from a job delivering meat for the local butcher to buy a snare drum and stand that he had “idolised” for months – and that was it for a while. A young Lee, snare drum and sticks. “My oldest brother, Peter, had a wind up gramophone and all these 78s, like “12th Street Rag”, Guy Mitchell’s “Singing The Blues,” recalls Lee. “We wore those records out. I used to tap along to them with knitting needles. We also used to listen to Family Favourites and the Billy Cotton Band Show on the radio at Sunday lunchtimes. “Mum and dad said they couldn’t afford a drum kit so I got a job as a delivery boy for the local butcher.” With the 10 shillings (50p) a week he earned going into a fund for the much-prized snare – “I can’t remember the make now, but I’ve got a feeling it was an Olympic or Beverley with vellum skins” – Lee would tap along to the music on the radio or the discs. Seeking lessons from a local drum teacher, the eager Lee was told “go and do piano for six months”. “It was actually brilliant advice,” he remembers today. “He also took me to several sessions and I learned to read music. It was good discipline. 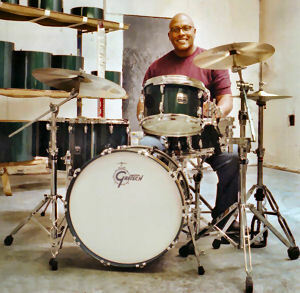 I had to learn to read music quickly because I had to turn the pages for him.” Cobbling together a 24inch gong drum for a bass, with an old hand painted Indian tom tom and Charleston cymbals, Lee soon immersed himself in the Mansfield music scene, often covering Cliff Richard and The Shadows, Elvis and other top bands of the day. 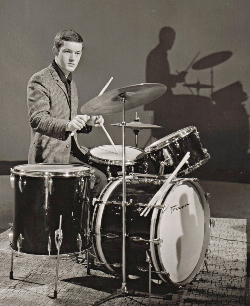 Inspired by The Hollies’ Bobby Elliott, Lee sought further lessons and met up with another local drummer called David Quickmire, at that point occupying the drum stool in an up-and-coming band called The Jaybirds, then a three-piece with virtuoso guitarist Alvin Lee and bass player Leo Lyons, whose frenetic style masked a subtle touch. They duly did tour America, meeting up with The Grateful Dead in Phoenix, jamming with Jimi Hendrix and having blues royalty like BB King come and see them in New York. The three-day musical extravaganza in a farmer’s field near New York has acquired near mythical status and Ten Years After was one of the acts of Woodstock. Their energy and musical prowess won through despite technical troubles and rain that affected the festival. But Lee, whose powerhouse drumming propelled that performance, remembers Woodstock as a stressful few hours, with the band hungry and bewildered by the sheer scale of events. “Woodstock was fabulous,” he recalls. “It was different to anything that came before, or after. It was initially going to be a 50,000 people festival and we weren’t going to do it because we weren’t getting paid enough. “At that stage there were only about nine or ten acts. I don’t think The Who, Hendrix, Jefferson Airplane had agreed and the bill wasn’t that fantastic. It was a difficult decision.” Joni Mitchell, that siren whose music encapsulated the Woodstock era, was among the acts which declined to perform at the festival, along with Free, The Moody Blues, Led Zeppelin, Jethro Tull, the Jeff Beck Group and Frank Zappa. At the height of their career Ten Years After released 11 studio and live albums, including the critically-acclaimed Cricklewood Green containing the UK Top Five single “Love Like A Man”. But the cracks were beginning to show. Alvin Lee and Leo Lyons weren’t seeing eye to eye and the drummer was often the middle man. 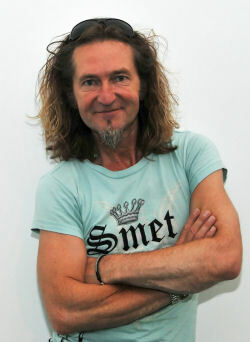 “I was like the bloke in Spinal Tap, which I’m sure was based on me. I was the buffer between the two. That’s what I ended up being, on stage and off.” During the recording of A Space In Time, Lee had been ill and the band recorded what was to become one of their biggest tracks without him. 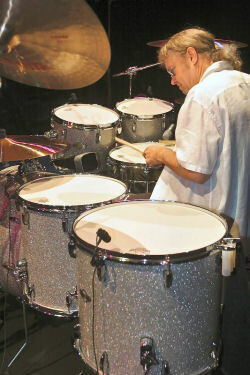 He returned to the studio and the band asked him to dub the drums on to the track. In those days there were no click tracks, consequently the timing shifted throughout the track, but Lee enjoyed the challenge and believes it adds to the track’s feel. “I’d Love To Change The World” became TYA’s biggest hit in the USA. The wheels could have come off the Ten Years After bus when Alvin Lee finally split for a solo career. 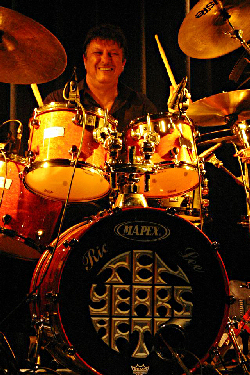 By this time Ric had got involved in music publishing and then joined Stan Webb’s Chicken Shack before a brief reformation of Ten Years After for the Marquee’s 25th anniversary. Lee, who managed the band for an additional couple of European dates, said: “We also did Reading as “special guests”, which was nice. We went our separate ways again until 1988 when I got a phone call from Alvin again seeing if we could do some European festivals. It was good to get back together again.” A new album, “About Time”, recorded in Memphis, Tennessee was released in 1989, but Alvin Lee left the band to go solo in 1991. Another reformation of TYA took place in 1995 and the band toured South and North America. The reformation lasted until 1999 when a row erupted between Alvin Lee and Leo. 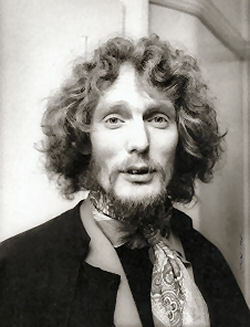 Lee then went across Europe with Kim Simmonds’ Savoy Brown and during the tour realised “there was a hell of a lot of demand for Ten Years After”. Enter Ten Years After Now, rebranded but still pounding out the classics and newer material. He added: “We found two guitar players of our age and then Joe Gooch, who was a lot younger. We knew instantly that Joe was the right man for the band. In the first year with him we did more rehearsals than we’d ever done before. We also recorded a new album, “Now”, which sold phenomenally well.” That album was followed by a “live” double CD “Roadworks” in 2005 and a DVD and new studio album will be released in early 2008. And as for the drumming? “You get an inbuilt sense of time. You have got to develop that internal crotchet. Leo doesn’t play bass like many others who anchor the time. Guitarists tend to pull. It’s a great challenge.